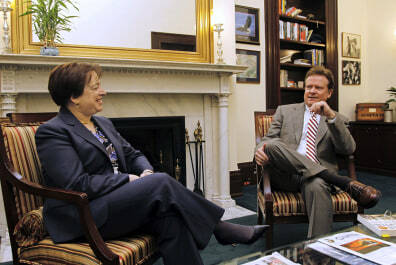 Supreme Court nominee Elena Kagan meets with Sen. Jim Webb, D-Va., on June 9, 2010, on Capitol Hill in Washington. This week, Senators and Kagan will thrash out whether or not the former Harvard Law School dean and U.S. Solicitor General will get to join one of the most exclusive clubs in government.